Hardwood floors offer a number of benefits. They are both incredibly beautiful, and incredibly easy to clean. They are a great option for allergy sufferers as carpets can aggravate symptoms. Even homeowners without allergies can enjoy the seamless look of hardwood flooring. However, water can easily damage or warp these types of materials. So, is it a good idea to install hardwood floors in kitchens and bathrooms? Freshome asked several experts, including designers, realtors and water damage restoration experts to weigh in on this topic. Dave Murphy, the training director of N-Hance Wood Refinishing, believes that hardwood floors make an excellent choice in the kitchen. “Hardwood flooring is stylish and sustainable, comes in a variety of natural colors, and doesn’t absorb dust or debris, making it easy to clean and maintain,” he says. Murphy says it is also a good choice for the kitchen because you rarely need to replace hardwood flooring. “Most repairs can be easily refinished by a professional,” he notes. She admits that liquids are the enemy of wood floors. “If left too long, the wood can swell or stain so it is important that spills are cleaned up quickly.” Davis also recommends that you put a large floor mat in front of the sink. 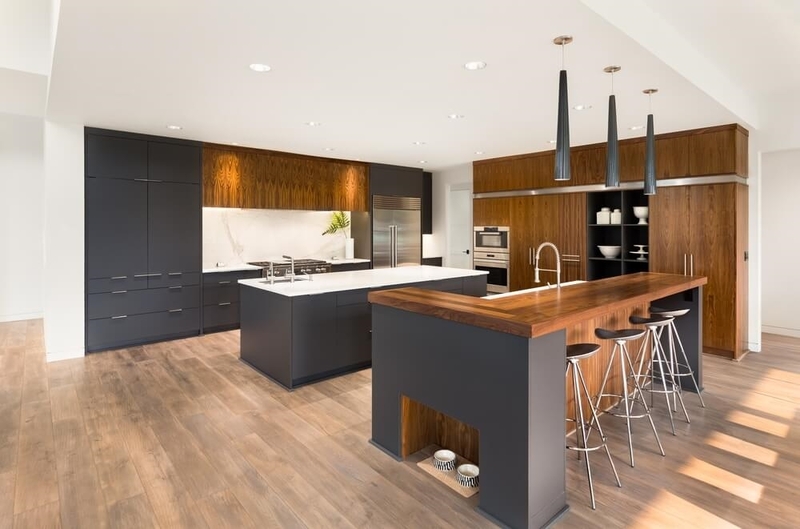 Susan Serra, certified kitchen designer at Susan Serra Associates, believes that hardwood floors, when properly finished, make an ideal choice for the kitchen. She agrees with Davis that you should wipe up spills as soon as you notice them. “Small spills, noticed later, will not damage a wood floor; however larger spills, such as a leaking icemaker in a refrigerator, or leaking dishwasher, most likely will damage the floor, especially since leaks often appear under the appliance,” Serra explains. As a general rule, she says, hardwood floors in the kitchen or bathroom only face problems from leaks. “If you live in a house with a wood frame, you would have a problem regardless of the damage to the floors in an situation like this,” Slaughterbeck says. “Quite often the water from one of these types of fixtures or appliances gets under the wood and is not caught until the flooring has bucked or swollen.” By that time, she says, the leak would damage other types of flooring. In fact, O’Coyne says vinyl, tile or linoleum floors would make a lot of the water damage her company sees in kitchens and bathrooms less severe. “We’ve also had to rip out several rooms of interlocking hardwood floors because of damage to just a small half bathroom, since it’s not always possible to replace just a few hardwood planks,” she explains. 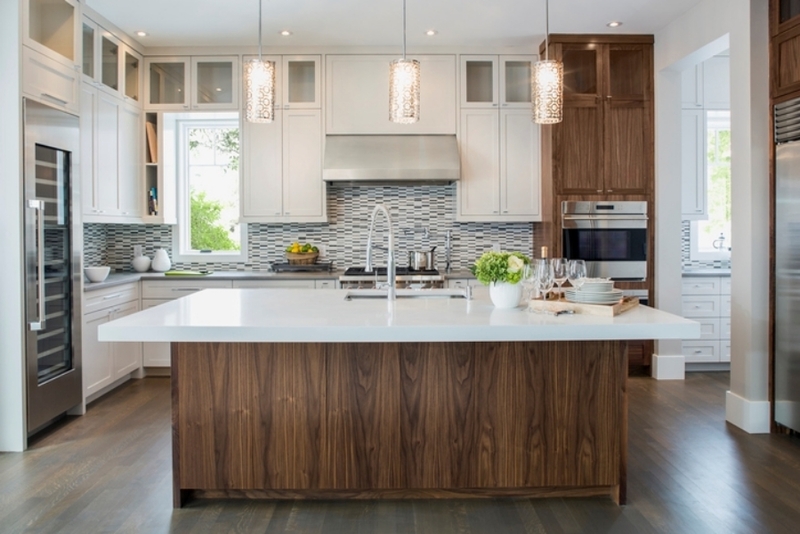 O’Coyne believes that hardwood floors are beautiful – but says she would never put one in her own kitchen or bathroom. Although Serra and Davis recommend hardwood floors in the kitchen, they do not suggest them for bathrooms. 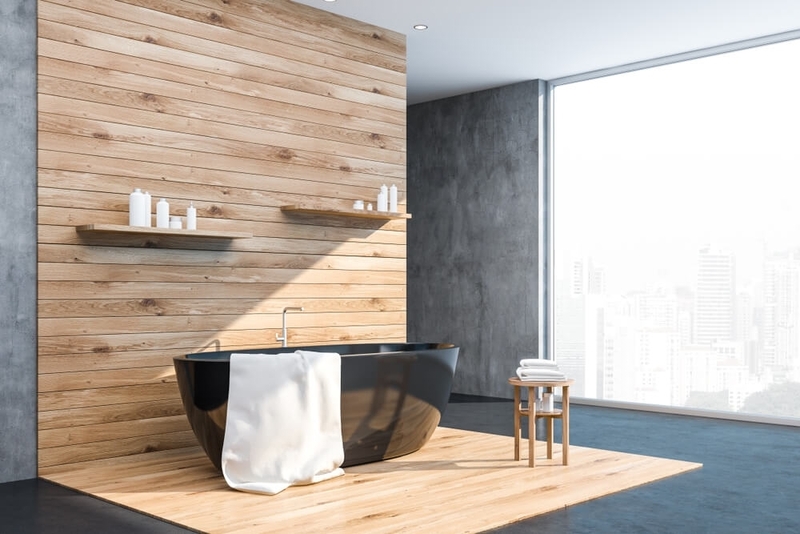 “Hardwood floors can be used in bathrooms, but with all the water that we use in this small area, it’s probably best to pass on using them,” says Serra. 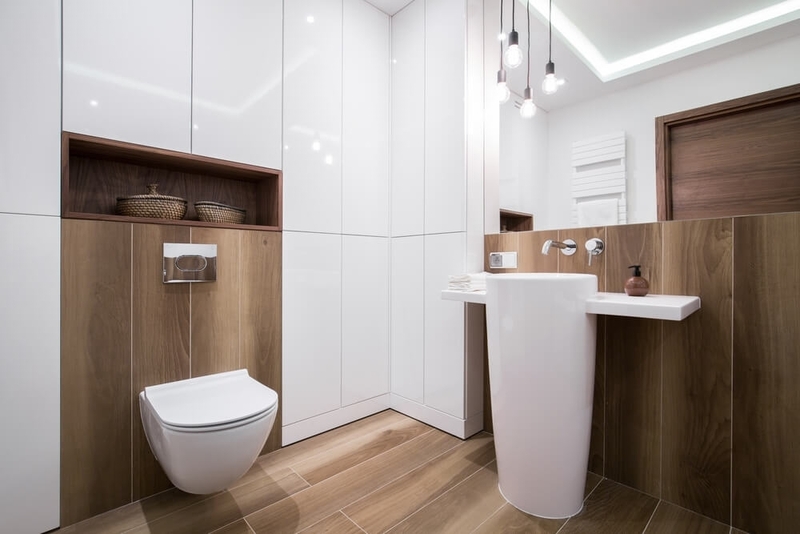 “Kids splashing, leaks in fixtures, steam and other water issues are at the ready to damage wood, especially if the flooring has gaps.” However, she recommends ceramic or porcelain tiles. 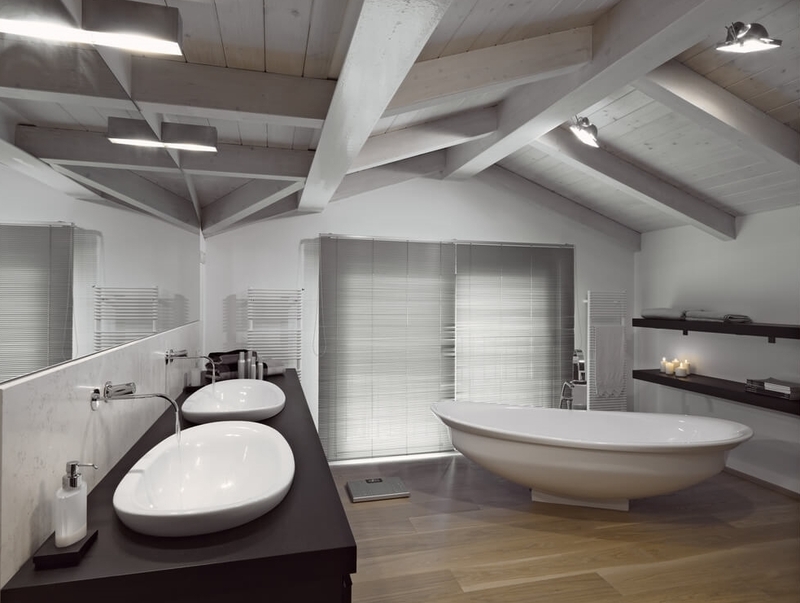 They look – although they might not feel – exactly like wood and come in a variety of styles and sizes. Davis does not recommend wood flooring in bathrooms with tubs and showers. He says they’re fine in powder rooms, however. 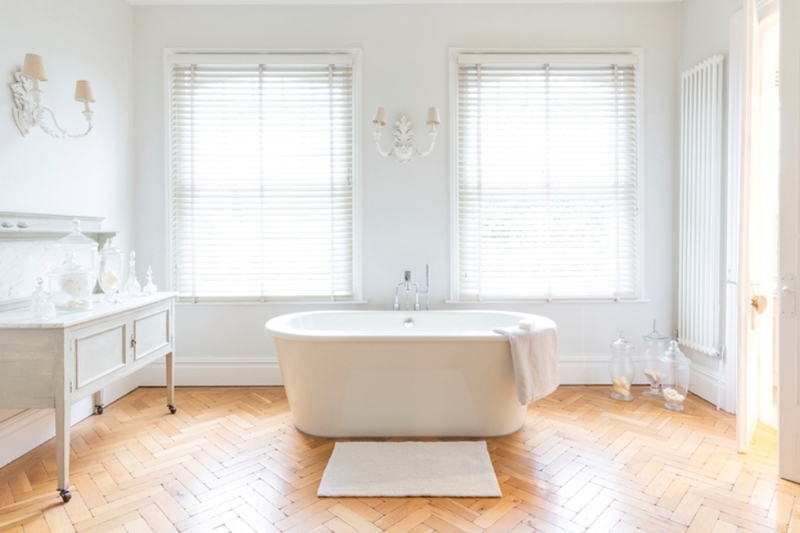 “Installing the same flooring in the powder bath as the kitchen is usually a designer’s first choice due to proximity of the two spaces,” Davis says. For homeowners who want a wood appearance without moisture issues, Slaughterbeck recommends waterproof flooring. “We have installed many from our hybrid fusion line, and there are also other notable brands that make waterproof floors,” she says. 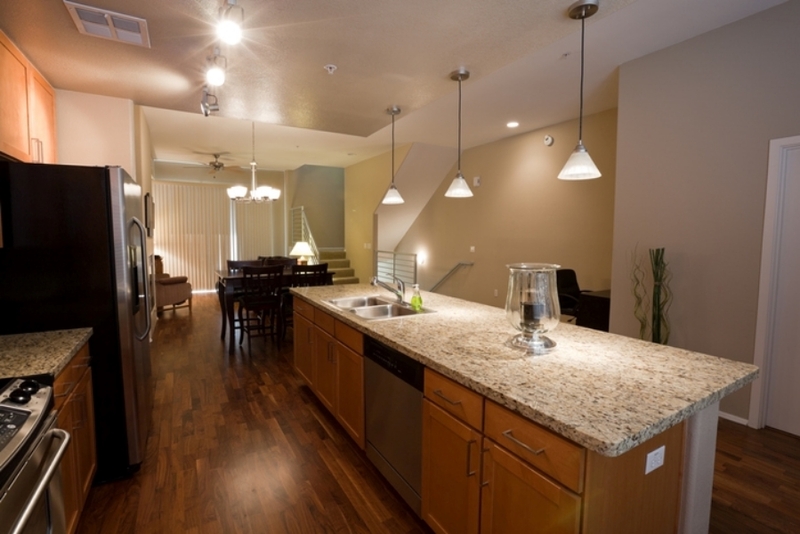 What are your thoughts on hardwood floors in the kitchen or bathroom? Let us know in the comments. 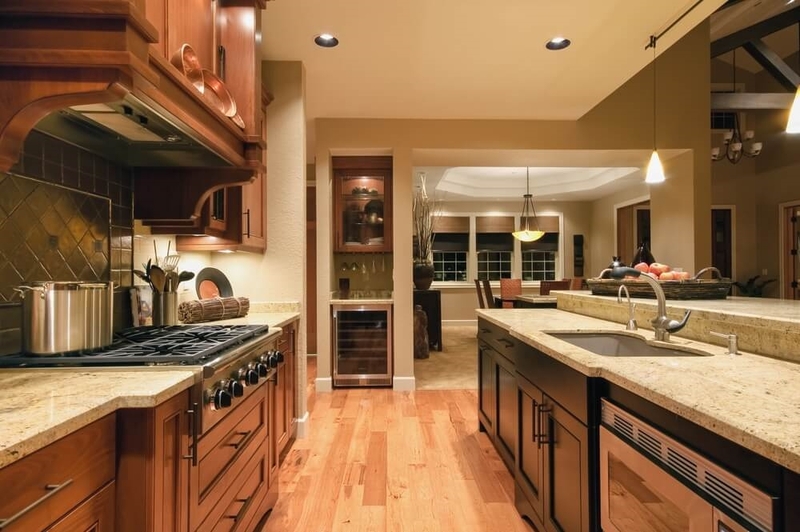 The post Should You Use Hardwood Floors in Kitchens and Bathrooms? appeared first on Freshome.com.